All NGPC games can be played on an original NGP in a monochrome mode. Also, all NGP games work on the NGPC, in either a colored or black & white mode. The NGP / NGPC has a circular D-pad that clicks when you move it (as opposed to the standard plus-type d-pad). Also, it has a battery backup built into the unit, as well as uses two AA batteries for gameplay. The screen looks good, however it’s 160×152 resolution is about on par with a Game Boy Color and not as sharp as a Game Boy Advance. Also, the screen is not back-lit, making it hard to see. 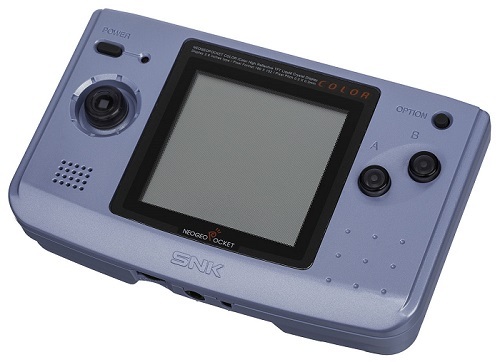 Overall, the Neo Geo Pocket Color is a decent system with a few great SNK games ported to it. I wish there was an easy TV-out mod, or a back-lit screen, but it’s still looks better then some of the other handheld systems! If you’d like info on mods for other systems, head to the Getting RGB From Each System page or check out the main page for more retro-awesomeness.